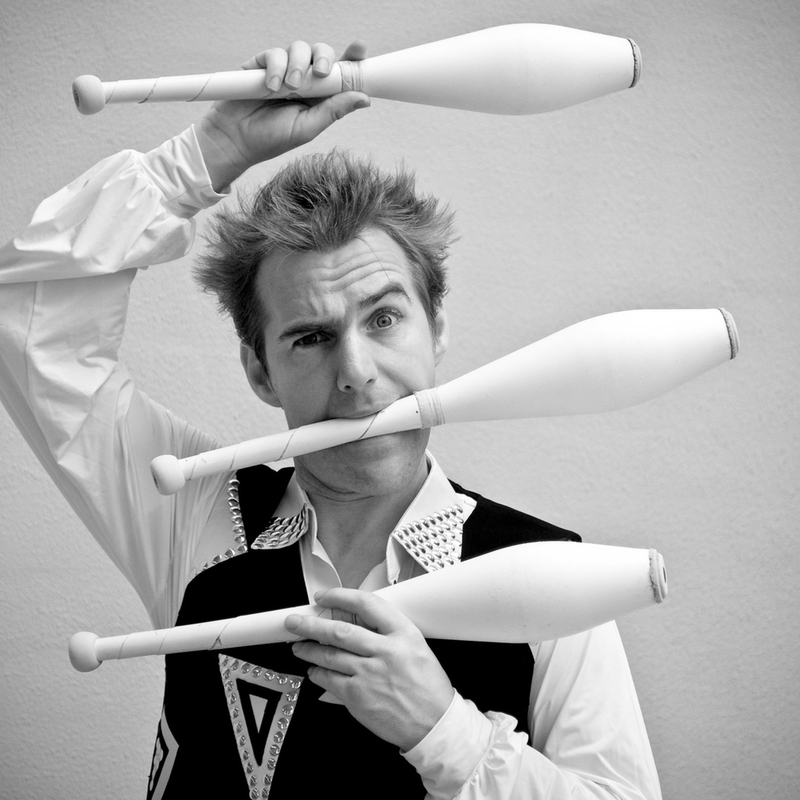 You will be amazed by Benny B's unique combination of elegant juggling, bizarre physical comedy and outrageous audience participation. The show culminates with him performing dangerous stunts balanced atop a 2 metre tall free standing ladder! Benny B is comfortable performing with or without words and this ability has enabled him to perform as a feature artist in 25 countries around the world including Kuwait, Poland, Korea, Sweden, Jordan, China, Croatia, Singapore, UAE, Austria and Switzerland. Benny B proves that comedy is the true universal language. WARNING: This is a hilarious high energy show, full of awesome circus skills!